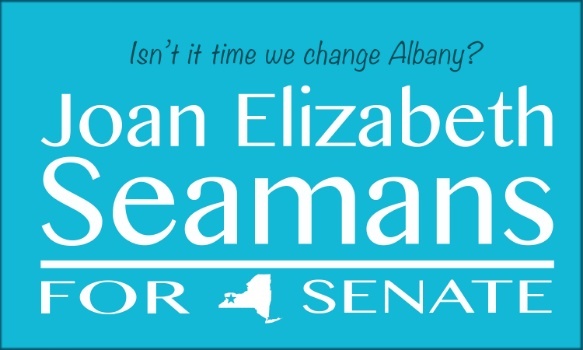 Sometimes I’m asked why I decided to run for the NYS Senate. There are many reasons but, the one that seems to percolate to the top is to be the strength and conviction for those who feel voiceless. Senior citizens are a vulnerable group. Many don’t have family or family has abandoned them. Many have dementia and can’t fight for themselves. Even with Medicare, healthcare costs can be crippling for our elderly. There are many who have to choose between paying a heating bill or an expensive prescription co-pay at the end of the year. For those seniors who are in nursing homes or skilled nursing facilities, all too often, there are not enough caregivers and those on shift are run ragged. That in itself puts our seniors in harms way. Safe staffing legislation is a must. Having a set ratio of nurses to patients will keep our beloved seniors safe. It is shameful that my opponent does not support this very important legislation. As your New York State Senator, my commitment will be to make sure there are protections and resources for our seniors. They have lived long lives, giving to our communities. Now it is time we take care of them. This short video is from my Dad’s check up today. He is a light in my life and I am proud to be his guardian.